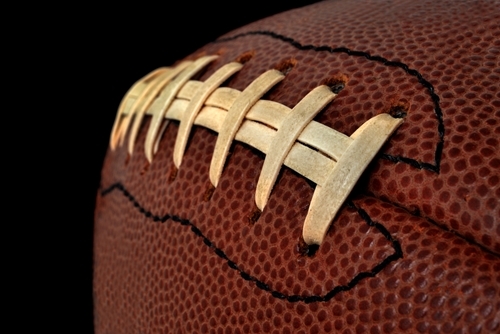 Though summer has yet to officially begin, many people are already looking forward to football season. While the NFL currently commands the lion’s share of media attention, especially with the recent announcement that Tim Tebow signed with the New England Patriots, college programs are also gearing up for kickoff. Many schools have large crowds at every game, but not every university distributes promotional marketing products at their stadiums. San Diego State University will hold promotional giveaways throughout the football season to attract fans and bolster school spirit. According to GoAztecs.com, the university will have logo-emblazoned items for all six home games during the 2013 season. Arguably, the best giveaway will be on September 21, when the first 30,000 fans will be given t-shirts with team’s symbol and the phrase “We are Aztecs” to show support while the squad plays Oregon State. The event is known as the Black Out because the athletic department wants all fans to wear black for the game. Small business owners can follow SDSU’s example by distributing sponsored t-shirts as promotional items. The garments advertise companies every time recipients wear them so other consumers will develop brand recognition.